Joseph Ratzinger was born on 16 April (Easter Saturday) in Marktl am Inn and was baptised that same day. His father was a police officer and came from a traditional peasant family from Lower Bavaria. As a village policeman, he was often moved from one place to another, and the entire family moved with him. Ratzinger’s family moved to Tittmoning, a small town on the River Salzach, near the Austrian border. December: Due to the father’s open criticism of Nazism, the family was moved to Aschau am Inn, at the foot of the Alps. Joseph’s father retired and moved with the family to Hufschlag, close to Traunstein (on the Austrian border), where Joseph spent his youthful years and went to middle school. On 9 June 1937 he received Confirmation from Cardinal Michael von Faulhaber. Ratzinger entered minor seminary in Traunstein. For him, the war meant the experience of the difficulties and persecution of the Church by the Fascist regime; he recalled his parish priest being beaten by the Nazis before celebrating mass, and a general atmosphere that was hostile to the Catholic Church. Joseph, together with all his seminary class, was drafted to the Flak (anti-aircraft corps). However, he was still able to go to the Maximilians-Gymnasium in Munich three days a week. September: on reaching the military draft age, Joseph Ratzinger was released from the Flak and returned home, and was then drafted to the infamous Österreichische Legion. November: Ratzinger underwent basic military infantry training. Due to health issues, he was released from most of his duties. Spring: when the Allies approached, Ratzinger fled from the army and headed for Traunstein. After arriving in his village, Americans took accommodation in the Ratzinger family house. As a German soldier, Joseph ended up in a prisoner-of-war camp. 19 June: released from the camp, Joseph returned to Traunstein; in July, his brother Georg also returned. November: Joseph and Georg entered the seminary again. Joseph Ratzinger entered the Herzogliches Georgianum, a theological institute affiliated with the University of Munich. He also attended lectures at Freising College. 29 June 1951: Georg and Joseph Ratzinger were ordained at the Freising Cathedral by Cardinal Faulhaber. July: Ratzinger received his PhD degree in theology at the University of Munich. His dissertation was entitled Volk und Haus Gottes in Augustins Lehre von der Kirche (The People and the House of God in Augustine’s Doctrine of the Church). Ratzinger’s habilitation was on the theology of history and the revelations of Saint Bonaventura. Became a university professor and lectured in dogmatic and fundamental theology at the Philosophical and Theological College of Freising. April: Ratzinger became professor and was appointed to a chair in fundamental theology at the University of Bonn. 23 August: Joseph’s father died. Ratzinger was present at all the sessions of the Second Vatican Council as a peritus (theological consultant) to Cardinal Joseph Frings from Cologne. He found this experience incredibly valuable, having a significant influence on his later life. He saw it as a confirmation of his theological vocation. In subsequent years, he published numerous works on theology. Ratzinger moved to the University of Münster. 16 December: Joseph’s mother died. Ratzinger was appointed to a second chair in dogmatic theology at the University of Tübingen. Appalled at the radical ideology in Tübingen, Ratzinger returned to Bavaria and took the post of lecturer at the University of Regensburg. He then became dean, vice-rector and theological consultant to German bishops. Ratzinger, Hans Urs von Balthasar, Henry De Lubac, and others co-founded the Catholic theological journal Communio – a quarterly on Catholic theology and culture. 27 June: Ratzinger received the office of Cardinal from Pope Paul VI. Titles: of the Suburbicarian Diocese of Velletri-Segni (5 April 1993), and subsequently of the Suburbicarian Diocese of Ostia (30 Nov. 2002). Pope John Paul II appointed Ratzinger Chair of the Extraordinary Synod of Bishops on the Laity. Soon he also asked Ratzinger to chair the Congregation of Catholic Education. Ratzinger refused, believing that it was too soon for him to leave his episcopacy in Munich. 25 November: Pope John Paul II offered Ratzinger the position of Prefect of the Sacred Congregation for the Doctrine of the Faith, which this time Ratzinger accepted. He also became President of the Biblical Commission and the International Pontifical Theological Commission. 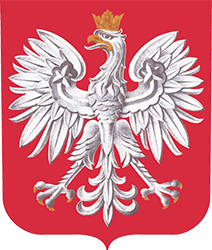 Chaired the commission preparing the Catechism of the Catholic Church, which meant six years of intensive work. 6 November Ratzinger was nominated vice-dean of the College of Cardinals. 30 November Pope John Paul II confirmed his election (by the cardinal bishops) as dean of the College of Cardinals. As dean of the College of Cardinals he chaired the sessions of the College after the death of Pope John Paul II (2 April 2005). 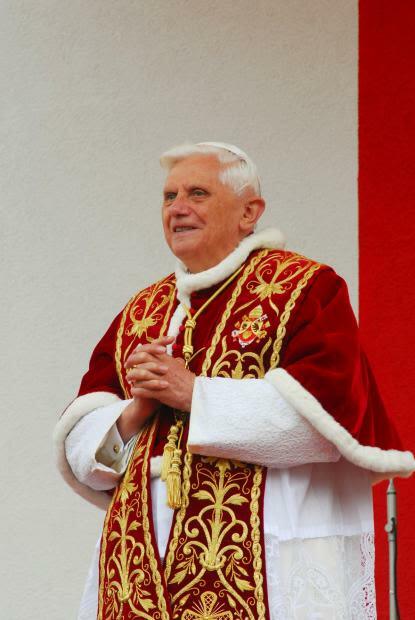 19 April: Cardinal Joseph Ratzinger was elected Bishop of Rome and chose the name Benedict XVI. 11 February 2013 Pope Benedict XVI announced that after considering his health and strength in his conscience, he had decided to resign the papacy as of 28 February – at 8 pm that day the period of sede vacante commenced.